Product prices and availability are accurate as of 2019-04-18 10:58:44 UTC and are subject to change. Any price and availability information displayed on http://www.amazon.co.uk/ at the time of purchase will apply to the purchase of this product. Just power on and go. No more setting for wheel size, time and unit; no more installation and pairing with speed sensor. Rider 310 gets it all covered. Just get the device mounted onto the bike mount, turn it on and you are good to go. Get involved and enjoy the cycling. Rider 310 will take care of the rest. Auto/Start and stop. If you don't feel like recording the ride but still want to view ride data in real time, Rider 310 is what you need. 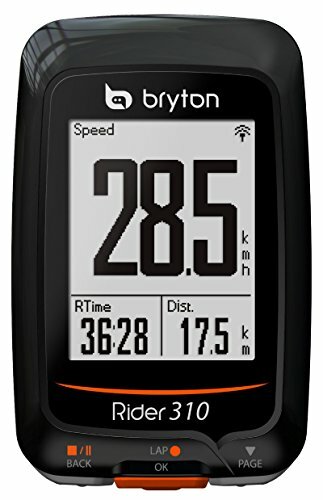 With high-sensitivity GPS, Rider 310 syncs seamlessly with the movement of the bicycle. It starts when you start pedalling, and it stops when your bike stops. 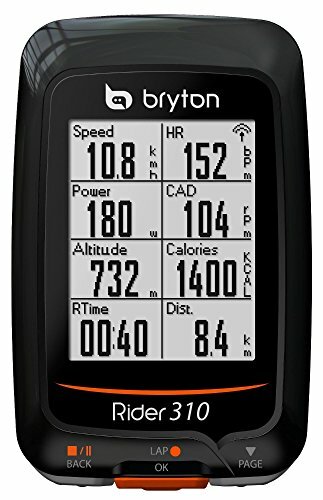 Great cycle computer with GPS. It has a high-sensitivity GPS receiver which allows for faster positioning. 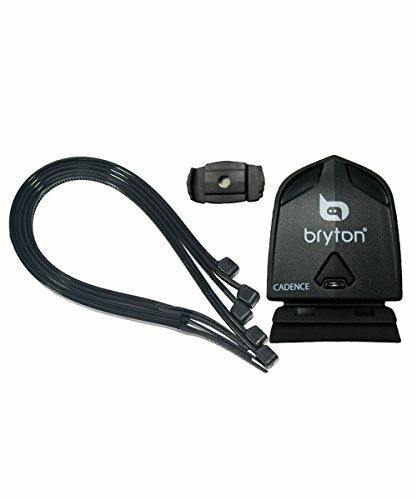 There is no need to install any type of speed sensor. Simply turn it on and start moving. IPX7 large waterproof and easy-to-read display, 7 customisable data screens with a maximum of 8 data per page. Built-in barometer for training with terrain. 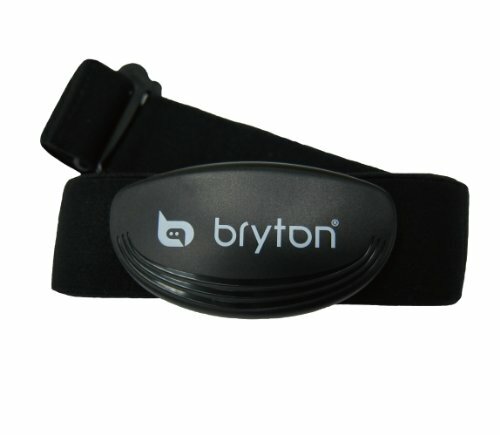 Bryton test preloaded to test your limits and train systematically. Compatible with ANT+, Heart Rate monitor, speed, cadence sensors and power meter for advance training. Anti-glare display for daytime and clear backlight for night rides. Compatible for viewing statistics on your watch, transferring them to the Bryton application or uploading to Strava, Training Peaks, and Fit track. 1 Second recording Simple but powerful. Rider 310 provides all the necessary data for your workout. Easy to use, yet it incorporates up to 70 functions including time, speed, distance, calories, cadence, altitude, power, HR and anaerobic threshold. Train smart. With Rider 310's Pre-loaded test workouts and "To Plan" function, you can learn of your physical condition from maximum heart rate or lactate threshold and customise your workout accordingly. With the every 1 second recording function, you can work more effectively in interval trainings and have more precise data to analyse. Rider 310 is designed to make your training systematic, smooth and smart. Connect, upload and share. We know you want to keep a cycling log to track your progress or share your accomplishment with other cyclists. Therefore we have made sure you can upload the data easily. Just plug it into your computer and select files from your device. No software is needed to convert files. Workout files are automatically saved in FIT format, which can be uploaded to popular training sites including STRAVA, Training Peaks, Endomondo, Map My Ride, Fit track and many more.